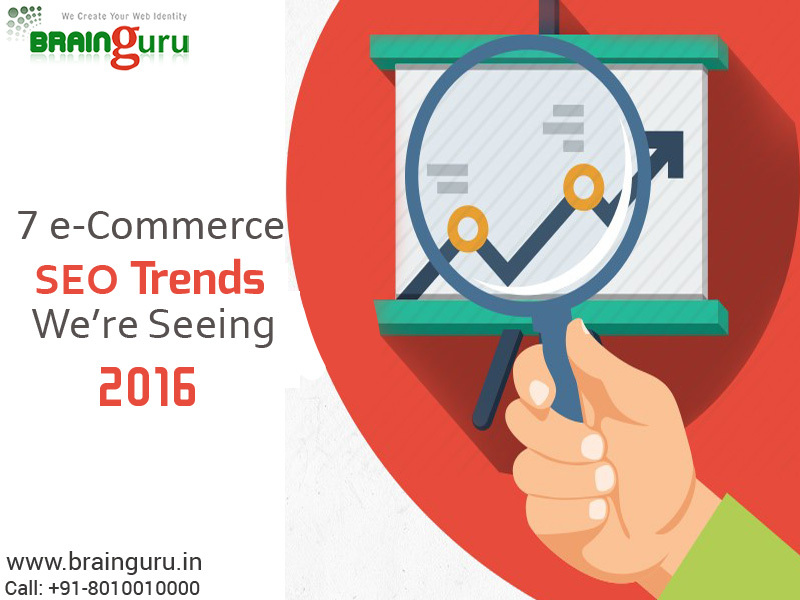 We are seeing 7 e-commerce SEO Trends in 2016 | Brainguru Technologies Pvt Ltd.
Few types of online business can benefit from SEO more than e-commerce websites that allow for direct consumer transactions. Not only can you secure more web traffic (and a larger stream of revenue), you can also optimize specific product pages to funnel traffic to your most profitable or popular pages. But SEO (and e-commerce in general) is always evolving, New technologies, new insights and new best practices emerge on a regular basis, and the best e-commerce webmasters are jumping on these changes to stay ahead of the competition. Keep an eye on these seven trends to ensure that your campaign remains relevant and visible in the modern era. Depending on your goals and how heavy a role plays SEO Services in your overall business growth, the suggestions above should take a high priority in your marketing spend.